Ok, let’s get this blog a bit interactive with a bit of audience participation! Whether you live in the county as several of my followers do, holiday down there or like myself are Cornish and live outside of the county – this post is for you! Do you have a fond memory of Cornwall, from your childhood or maybe more recently? It could be something life changing or something silly but when you think of it makes you feel great and gets the Kernow blood pumping though your veins. So, please send them in, with a photo if you like and I will post them on My Saffron Bun. If you wish to remain anonymous that’s fine, just let me know. Who said men can't multi task? 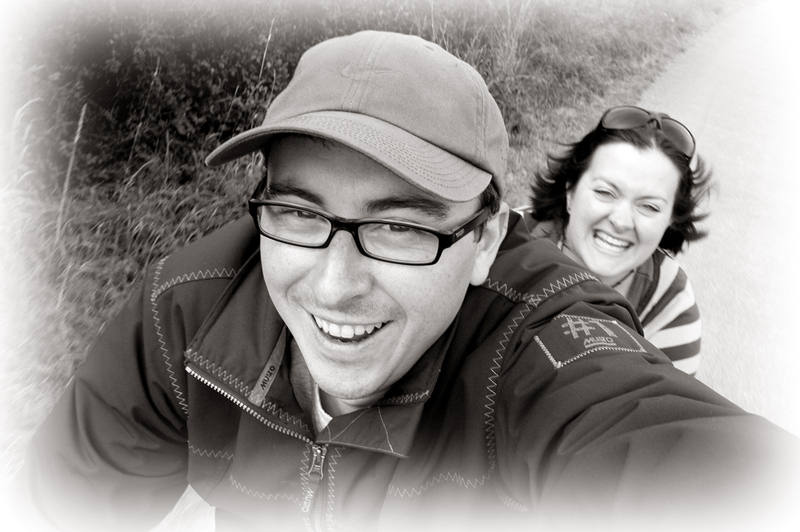 This is a photo of Becky and I on a bicycle made for two (mainly pedaled by one!) on the Camel Trail, Padstow. We always go from Wadebridge to Padstow and hire bikes from Bridge Bike Hire who are good chaps and always supply decent bikes, well ones that will get you to Padstow and back. The scenery is stunning all the way and its an easy 7 miles each way although it doesn’t feel that far, well maybe on the way back! When we get to Padstow its got to be Rick Steins Fish and Chips for lunch, eat in or on the quay. If it’s a nice day I’d do the quay option, you will be served quicker and the views are better! Have a great weekend, whatever you get up to?